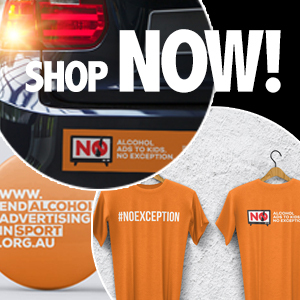 Alcohol education campaigns conducted by industry have been, rightfully, criticised for looking more like advertising than meaningful health advice. Despite being largely ineffective at reducing binge-drinking and alcohol-related harm, these multi-million dollar investments surprisingly contain important lessons for public health communications. Many argue that marketing, or public education, campaigns are a weak tool for changing alcohol behaviors in comparison to other policy measures, such as regulating alcohol’s affordability and availability. Indeed, there is a lack of evidence for their effectiveness. But in the absence of these policy interventions, time and again we see marketing campaigns launched by governments, not-for-profits and from the alcohol industry, all boldly claiming to ‘change our drinking culture’. So given marketing campaigns are here to stay, what types of communications are most effective and what positive impact might they have on alcohol use? I recently investigated these questions in an Honours thesis, focusing on the How To Drink Properly campaign from alcohol-industry funded organisation DrinkWise. DrinkWise has received significant criticism from the public health sector for this campaign, with critics saying it glorifies drinking as sophisticated and stylish, further encourages young people to drink and should be withdrawn. These criticisms are fully deserved as the campaign problematically constructs binge-drinking as a cultural norm and humorous pastime. Rather than contributing to a “healthier and safer drinking culture in Australia” as DrinkWise purportedly aims to do, the How To Drink Properly messaging instead risks encouraging a culture of determined intoxication among young people. However, a crucial point has been missed among this criticism: How To Drink Properly has enjoyed considerable success in audience reach. DrinkWise reports it has had over two million social media views and the campaign has received a number of advertising awards based on these metrics. Given their extensive resources, it is not surprising the alcohol industry have been able to craft a campaign that effectively reaches, and engages, young people. Their work is therefore worthy of attention if we are to improve our communication with this audience about alcohol. What follows are three important lessons from DrinkWise that can be applied in future campaigns that uphold the interests of public health, rather than those of the alcohol industry. The first lesson lies in how DrinkWise’s campaign communicates an implicit message that binge-drinking is normal, through calls to drink ‘properly’. It does so by portraying ‘amateur’ drinkers as the majority, calling on viewers to break from this status quo and drink alcohol in a ‘classy’ fashion. In this way, the campaign has a negative focus on ‘what not to do’. Previous efforts such as the Rudd Government’s Don’t Turn A Night Out Into A Nightmare have also had this negative focus, but for the purpose of creating a fear-based ‘scare campaign’. While some argue that scare campaigns often fail as they appear paternalistic, their real failure is that focusing on binge-drinking risks entrenching this behaviour as the perceived social norm in our culture. Presenting only the negative side of a diverse drinking culture distorts our perceptions of reality. If one is to take a critical view of DrinkWise as simply a mouthpiece of the alcohol industry, then this distortion is precisely what they wish to achieve, as normalising excessive alcohol consumption ensures people continue to buy their product. Just a cursory glance at the comments on the How To Drink Properly Facebook page indicates this normalisation, and even trivialisation, of binge-drinking in action. The lesson to be learnt here is the portrayal of alcohol norms plays a key role in how a campaign is received. Some are already heeding this, such as VicHealth’s 2014 No Excuse Needed campaign. Rather than normalise binge-drinking or use a negative frame, VicHealth instead focuses on normalising moderate drinking and portraying this as a desirable activity of the majority. The second key lesson to be taken from industry efforts is the potential power of manipulating the symbolic role of alcohol in identity construction. 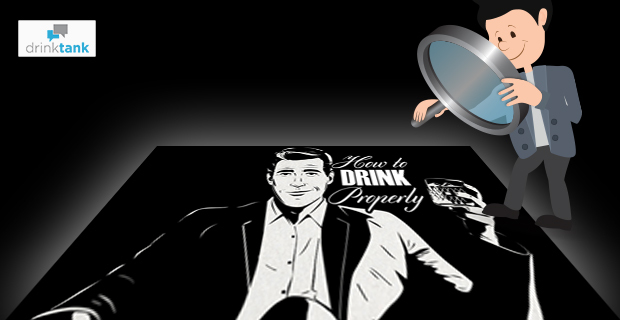 As some have observed, the aesthetic of the DrinkWise’s How To Drink Properly narrator draws on powerful masculine characters such as James Bond, Don Draper and Archer. This narrator, who embodies success, masculinity and being ‘cool’, is then positioned as a role model for ‘proper’ drinking. In this way, DrinkWise reinforces that how you drink is an important element of social status. This means the campaign risks encouraging young people to incorporate alcohol as an essential part of their own identity. However, one can reverse this approach so the symbolic importance of alcohol in identity is reduced – an important lesson for public health campaigns. There are some promising examples of this in action, such as Hello Sunday Morning which strengthens the appeal of moderation and abstinence in identity by linking these relationships to alcohol to positive images of fitness, the outdoors and wellbeing. The third lesson drawn from my research is that using social media, something DrinkWise does extensively, is a very effective way to engage with a large audience, particularly of young people. One of the How To Drink Properly Facebook videos attracted over 300,000 views alone. This scale of engagement cannot be ignored for future health campaigns. Furthermore, the interactive nature of social media enables DrinkWise’s campaign to be shared and commented upon. Unlike traditional ‘passive’ mediums such as television, radio or print, this enables a far more participatory, personal and engaging experience. Many previous alcohol marketing campaigns have not committed as strongly to social media as DrinkWise, perhaps due to budget constraints, lack of knowledge about emerging digital environments, or concerns over this participatory format allowing online criticism, particularly among risk-averse public sector agencies. But given that social media increasingly plays a major role in alcohol advertising in Australia and internationally, it is time for public health campaigns to fully embrace social media and the opportunities for dynamic engagement it presents. While each of these three key lessons have come from an unlikely source, in the form of industry-funded advertising, they have important implications for future communications on alcohol. Without a strong public health presence promoting moderation, young people’s social media experience and perceptions of social norms will continue to be dominated by alcohol advertising and dubious industry-funded campaigns, such as How To Drink Properly. Great article Luke! You provide some really insightful considerations for future alcohol education campaigns. Would be interested in reading any publications that arise from your thesis. Fab article and I agree , social media is the way to go! I too would love to read any publications! Thanks Luke – this was a great choice for an Honours thesis and you raise useful points. Two thoughts spring to mind. You note that there is a lack of evidence for the effectiveness of alcohol public education campaigns. That may be because no one has ever invested in long-term, research-based, high-quality alcohol public education campaigns at a sufficient level to see an impact, and then done a comprehensive evaluation. That has happened for other public health issues like tobacco and road safety, and they have been effective as part of a comprehensive approach. So perhaps there is hope for alcohol public education. My other thought is about how we evaluate alcohol campaigns. How we measure success will depend on what we’re trying to achieve. Evaluation should be comprehensive, but we need to have realistic expectations given the usually modest investment and the huge volume of competing alcohol promotion messages. As the Drinkwise campaign shows, audience reach and enjoyment of an ad are insufficient to tell us whether a campaign has been effective, but then I can’t imagine Drinkwise were really trying to change behaviour to reduce harmful drinking. They are likely to have had other motivations for investing in this campaign. Could you link me to your thesis publication please? I also wrote an honours thesis on DrinkWise, from a public relations perspective. I haven’t yet made the thesis publicly available, but I would be happy to share it with you strictly in confidence. Send me an email at lukebah@student.unimelb.edu.au and I can share it with you. I would love to read yours as well if possible!